Tea is probably my favorite beverage in the world. Before you start snickering, hear me out. It's pretty much just hot water, right? With some tea leaves (or - if you read this list all the way through, you'll find some other weird ways people are making tea. Really WTF kind of weird.) So what's the big deal? Mainly the rich aroma, the health benefits (it's practically 99.9% water), the stress reduction, and - best of all (for me at least) - it helps in weight control. It's pretty much zero calories, and can often reduce your appetite when you drink it instead of grabbing something to eat. So many benefits in a freaking cup of tea! 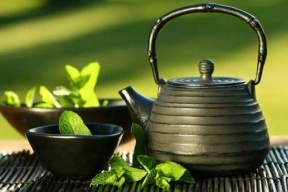 Now, I didn't know this until I started researching it, but tea is actually the most popular beverage in the world. I mean really popular. It's consumed more than ALL other manufactured drinkings - that means soda, alcoholic drinks, and even coffee - combined. Think about India and China mainly - those guys love their tea. It's pretty popular in England as well. Tea and crumpets anyone? 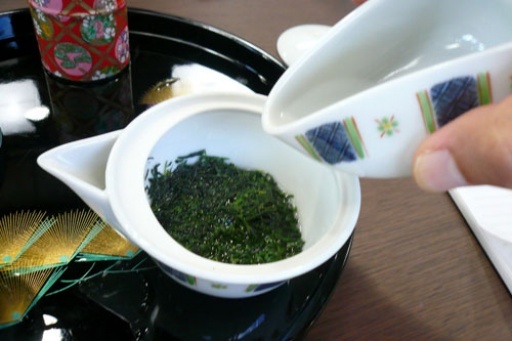 Which brings us back to the topic at hand - the most expensive teas in the world. Why do we care? Well, maybe you'll be entertaining a British government official one day, and they'll ask you for a spot of tea. 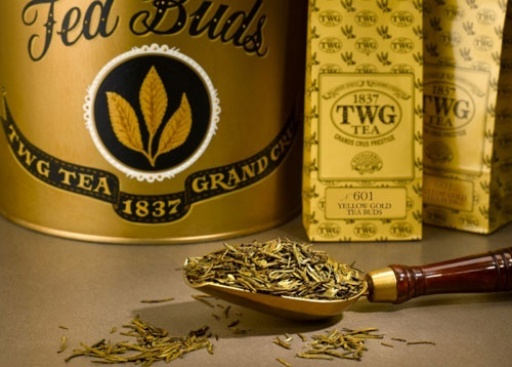 You could give them just any old tea - but why not pander them with a $200 cup? And that's not even the most expensive tea on this list! Enjoyed this list? You might also like learning about the most expensive vodka and most expensive tequila in the world. Now, this shimmering tea is only sold in Singapore, so if you're not from there - or planning a trip there anytime soon - you're out of luck. There is only one mountain in the world where the tea gets harvested, and - to make it even rarer - it's only harvested one day a year, and only with special golden scissors, and only from the top part of the tree. That makes it more endangered then these animals! Guys, I'm trying to find out which day of the year these leaves are harvested, but no-ones telling me. I thought we'd all fly down to Singapore on that day and get our own. Yeah, they're not going for it. I love Pandas! They're so cute and cuddly, and they sleep a lot, and don't do much else as a general rule. Basically, they remind me of me, but cuter. Oh, and another thing they do a lot of is poo. In the tea world they call it dung, but it's really poo. 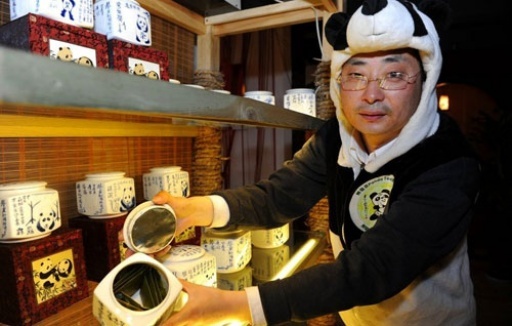 So this Panda dung (poo) is the secret to this special tea, which has been reported to be sold for around $200 per cup. Why do people drink tea made of an animals poop? A few reasons. Panda's only eat wild bamboo, and they only absorb around 30% of the nutrients in their food. That leaves 70% in their excrement (there are many ways of saying poo), which gets into the tea. 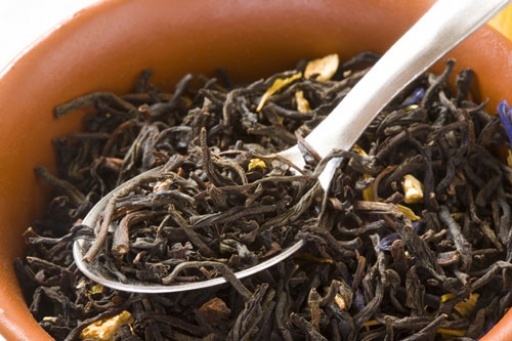 Yes, it sounds gross - so don't think about it when you're chugging down this tea. Your body will love it! The tea is not actually made purely out of Panda dung, though. It's just fertilized with it. A Chinese entrepreneur basically decided to cultivate tea leaves in the mountains of Ya'an, Sichuan and fertilize the leaves with the Panda dung. People loved the flavor, and paid him lots of money for it. Oh, China.